Completely unmoved by the barrage of criticism that came his way after the manner in which he won the German Grand Prix at Hockenheim last weekend, Ferrari’s Fernando Alonso is determined to repeat the feat this time out at the Hungaroring. The Spaniard is convinced that the circuit will suit the Ferrari F10, and believes that he can kick start his world championship challenge with a third victory of the season. "All wins are special," he said this week. "Winning is a great feeling and that was the case in Hockenheim, especially when I think of the huge workload undertaken by everyone at Maranello to achieve this fantastic one-two finish. No one ever gave up and I know how pleased they were to see two Ferraris cross the line ahead of all our rivals. For over a month now we have been saying that we had to get back to winning at least once before the summer break and finally, we did it. "The win does not change my approach to the rest of the season. We knew full well before Hockenheim that our car was much more competitive and that was what made me so confident. Now we must continue in this direction, starting this coming weekend in Budapest." Despite his disappointment in Hockenheim, and what happened in Budapest just over a year ago, Felipe Massa also believes that he can have a strong race this weekend. "In Germany we produced a great team result and if people were asking why Ferrari kept saying for several weeks before that the F10 had improved a lot, they got the answer in Hockenheim," he said. The Brazilian is also optimistic because Bridgestone are bringing their super-soft and medium compound tyres to this relatively tight, high-downforce track; it is the harder compound with which he has previously struggled this season to generate optimum operational temperatures. "Personally, I have never had a good result at this circuit, but that has simply been down to circumstances,” Massa says. “I do enjoying driving here a lot and, in 2008 for example, the last time I actually raced here, I led for 60 laps until my engine failed. So all in all, there are many reasons why I am really looking forward to going back to Budapest. It will be a very special weekend for me, for reasons which you can all appreciate. "My first meeting when I arrive at the Hungaroring circuit will be with all the marshals and medical staff who did such a very good job of carefully getting me out of the cockpit. I want to thank these people, with whom I now feel a special bond. I had to stay in hospital for a week after the accident and I got to know the staff, who all treated me so well. One unusual result of the whole unfortunate episode is that I know I now have a lot more fans in Hungary." While Red Bull are confident that their RB6 package has the aerodynamic excellence to wrest back the advantage from Ferrari, McLaren are being more circumspect, even though Jenson Button has won there previously (in 2006, with Honda) and Lewis Hamilton in 2007 and 2009 for them. Another close battle can be expected between Mercedes GP and Renault as they chase fourth spot in the constructors’ standings, while just behind them Force India and Williams will both be looking to get back on track after disappointing race results at Hockenheim. Scotsman Paul di Resta will be back in the car for Force India in Friday Practice One, while further down the grid at HRT, Sakon Yamamoto gets another race outing in place of Karun Chandhok. The 4.381 kilometre (2.722 mile) Hungaroring is unchanged and the 2010 race, which begins at 1400 hours local time (two hours ahead of GMT) and will be run over 70 laps or 306.630 kilometres (190.553 miles). Initial forecasts suggest predominantly dry conditions, but with temperatures in the low to mid 30s Celsius and an associated risk of thunderstorms. Bernard Ecclestone and Michel Boeri met today in London and have agreed to extend the contract between Formula One Administration Limited and Automobile Club de Monaco for a further 10 years. 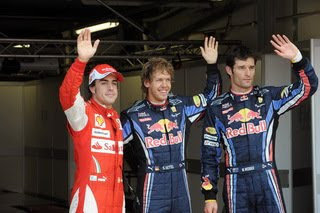 The next Monaco Grand Prix will take place on May 29, 2011. Following their controversial one-two result at the German Grand Prix, Ferrari have been fined US$100,000 by the FIA after race stewards deemed they had breached sporting regulations. The case has also been referred to the World Motor Sport Council (WMSC). Ferrari driver Felipe Massa, who had been leading the Hockenheim race, moved aside to allow team mate Fernando Alonso past on Lap 49. A few moments before, Massa’s race engineer Rob Smedley had told the Brazilian "Fernando is faster than you. Can you confirm you understood that message?" Although Ferrari maintained this did not constitute a team order, the stewards decided the Italian team contravened Article 39.1 of the sporting regulations, which regulates against team orders, and Article 151 (c) of the 2010 FIA International Sporting Code, which relates to bringing the sport into disrepute. The decision will also be forwarded to the WMSC for its consideration, meaning Ferrari could in theory face further sanctions. Fernando Alonso wins the German Grand Prix ahead of teammate Felipe Massa who led most of the race and gave Alonso the lead 15 laps before the finish, pole sitter Sebastian Vettel finished third. Ferrari finished in one two for the second time this season, Sebastian Vettel didn’t got a good start and tried to fend off Fernando Alonso and thereafter he got passed by both Ferraris, also Lewis Hamilton passed Mark Webber in the first lap and was behind Vettel. Felipe Massa’s pace on the softer tyres was good and was able to keep a small gap to Alonso but they were both faster than Red Bull’s Vettel. Hamilton could not keep up with the Red Bulls and the Ferraris McLaren did not have the pace this weekend. In the pit stops Vettel was the first to pit and was followed by Fernando Alonso in the next lap but they both kept they positions, Massa stopped after them and got back behind Button who was the latest man to stop from the top six and was able to jump Mark Webber’s Red Bull. In the second long stint Massa seemed to struggle on the harder tyres and Alonso was right behind him and kept pushing on him, while Massa was lapping the Virgin’s Cars Alonso got a chance to slipstream Massa but was not able to pass him. The race continued in the same routine with Alonso close to Massa but not able to pass him until Massa got a team radio “Alonso Faster then you” and a lap later he gave Alonso the lead. Webber in sixth place was having problems in his car but hi kept the race in sixth place. Massa was slower then Alonso but Alonso was never able to pass him unless he made a mistake, Massa said nothing in the press conference after the race about the incident, and said he was playing for the good of the team. Sebastian Vettel took pole position for the German grand prix From Ferrari’s Fernando Alonso and Felipe Massa, teammate Mark Webber will start from fourth on the grid. Ferrari’s Felipe Massa sets the fastest lap in Q1 whlie Force India’s Luizzi crashed at the final corner that put him out and will start from 22nd on the grid. In Q2 the Ferrari’s looked very fast with Fernando Alonso setting a lap of 1:14.6 and then Massa set a lap of 1:14.4 at the start of the session, both Mercedes were in the out zone but they both set a 1:15 dead that put them 9th and 10th with Rosberg and Shumacher, a late lap from Nico Hulkenberg put Shumacher out of Q3. With Ferrari and Red Bull looking set for pole Alonso was the first driver to get bellow 1:14 with 1:13.9, Vettel then came very close to him within a tenth in his first attempt Hamilton was third, in the second attempt Vettel beat Alonso with a lap of 1:13.791 and took pole Alonso did 1:13.793 only two tenth of a thousand separated them. 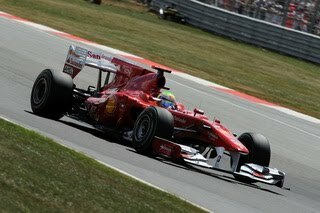 Massa took third ahead of Webber to show Ferrari’s improvement with the McLaren’s of Button and Hamilton fifth and sixth ahead of Renault’s Robert Kubica. The German grand prix is the round eleven of the FIA Formula1 World Championship and point to the start of the second half of the season, with McLaren and Red Bull very close at the top of the ranking Ferrari should finish ahead of them both in this race to keep their championship hopes alive in both championships. Ferrari is 113 points behind McLaren in the constructors standing and Fernando Alonso is 47 points down on Lewis Hamilton’s lead. The characteristics the track should suit the cars of Ferrari and McLaren but the MP4_25 seemed to have struggle to put the new updates on it, while Ferrari were the closest team to Red Bull in a track which was expected to play in the favor of the RB6s. 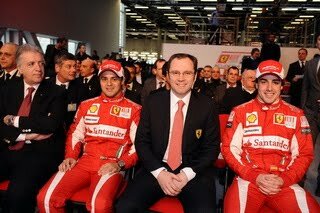 Ferrari should stay out of troubles and bad luck that cost them very much in last our races, and both Fernando Alonso and Felipe Massa should stay out of troubles, if they both started from the first or the second row they should be fine. Meanwhile Red Bull’s RB6 is surely the fastest car of the season on every circuit even in Canada were the didn’t scored a good result it was down to bad strategy, they will be very fast this weekend, but again they should make Sebastian Vettel and Mark Webber give each other a room in the race, as they are losing a lot points in every race. McLaren added the “blown diffuser exhaust” which did not worked well for them in Silverstone and in the race they only raced it on Lewis Hamilton’s car, if they got it right this time they should be fighting with the Red Bulls and the Ferraris. We should not write Renault of this weekend as their R30 is fast in low speed corners. With the cars very close this weekend the Qualifying in Q2 and Q3 will very interesting. Williams has been fast in the last few races and the must keep the momentum with Nico Hulkenberg home race too, and Williams is closing on Force India in the standings, the battle between these two teams will be interesting. Sauber and Toro Rosso are both close and Sauber passed Toro Rosso with their latest good results, Pedro De La Rosa is qualifying well but his race pace is not good for a points. Who do you think will win the German Grand Prix? Have your thoughts on the comments. 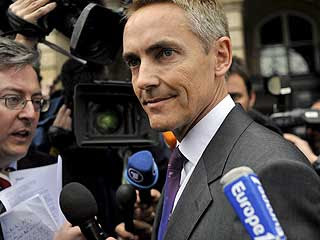 Martin Whitmarsh said he expects McLaren to race their exhaust-blown diffusers in Germany this weekend. It brought to the British Grand Prix but removed them after Friday practice. We’re working on the premise that we’ll have blown diffusers on both cars to start with. In Silverstone Lewis wanted to keep the blown diffuser on on Friday night. But we made the decision there to switch them both back to the old diffuser. We could end up dividing the drivers if there was a preference from one side of the garage to the other. If I can I will avoid that but we’ll do it if we think it’s the right way to perform. There are advantages to running one car in one configuration and one in the other. But provided that in so doing you don’t end up rightly or wrongly accused of treating the two drivers differently. One of the challenges is that whereas flaps, wings and various aerodynamic appendages are fairly quickly changed on a car, and you can do a back-to-back during a session, the blown diffuser is completely different floor, different heat management components and of course a different exhaust. Therefore it’s not possible to perform an in-session back-to-back. It’s quite difficult to do it even between sessions. So we will have to rely on the data we previously collected. There will be modifications to the blown diffuser which will probably change between the cars or from one car to another. There is a compromise – in the old days we’d go testing and have two cars run alongside each other. We can’t do that, so we’re torn between the priorities of develop the car for long term improvement versus using the very limited track time the drivers get to understand that particular event, that race circuit and prepare for Saturday qualifying. So it’s not easy, but it’s the same challenge for everyone. Our priority was get as much data as possible and make sure we were treating the drivers as equally as we could. I don’t regret taking it and I don’t regret running it on the Friday. I think at the time there were a number of things happening at the circuit. The new track had some entertaining bumps in the new section and on the old sections of the circuit, presumably from construction traffic – not a feature that you normally have to deal with at Silverstone. It was also gusty. And clearly we can’t test before races so I think we got some good information. There were some views within team by Sunday that we could have left it on the cars but we were conscious of the need to score as many points as possible in the British Grand Prix. So a decision was taken on Friday to eliminate some of the variables. We couldn’t eliminate the gusts or the bumps but we could eliminate [the new package]. I think it was the right decision. We then had a back-to-back in a sense – on Saturday we ran without the blown diffuser and that was useful to compare with the data we generated from the day before. I think we did the right thing and I’m comfortable with it. Ferrari are aiming for a substantial point haul in the German Grand Prix this weekend. The Italian team has scored just four points since introducing its exhaust-driven diffuser package at Valencia two races ago. It will have further changes to its diffuser for this weekend’s race. "The circuit characteristics, on paper at least, are more likely than recently visited venues to play to the strengths of the Ferrari F10, although it is fair to say that for a variety of reasons, the fact that the car has improved dramatically in recent races has been masked by a series of unfortunate and unlucky incidents, that have kept it out of the top places. Nevertheless, on the stop-start track in Montreal and the higher speed street circuit in Valencia, it proved competitive and even if it could not match the Red Bull benchmark at Silverstone, here too at the English circuit with its high downforce, fast corner characteristics, the car was good enough for the second row of the grid. The engineering team at Maranello has not eased up at all and there are further updates on the car this weekend, with changes to the diffuser and therefore everything points to another competitive weekend for Ferrari. No matter how much progress has been made in terms of car development, there are no points awarded for technical excellence and it is clear that, this weekend and at the race in Budapest just seven days later, Scuderia Ferrari Marlboro must bring home a big points haul if it intends to be fully in the hunt for the championship title. Ferrari are 113 points behind constructors’ championship leaders McLaren, with a maximum of 387 left to be won this year." Team principal Franz Tost has revealed Jaime Alguersuari and Sebastien Buemi will continue to drive for Toro Rosso next season. Buemi has been racing with the Italian squad since the start of 2009, while Alguersuari replaced Sebastien Bourdais at the team in July last year. Buemi was Red Bull Racing's reserve driver in 2008 and has been supported by the Austrian drinks company as a member of its Young Driver programme since 2005. He first tested for Red Bull in 2007, whilst racing in the Formula Three Euroseries. In 2006, he competed in Formula Three, Formula Renault and the F3 Euroseries, while in 2005 he raced in the Formula BMW series, finishing the season second overall after winning seven events. 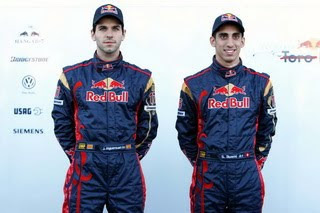 Barcelona-born Alguersuari also made his way through the ranks of Red Bull’s Young Driver programme. He clinched the British Formula Three championship in 2008 and was competing in the World Series by Renault when he landed his Formula One drive last season. When he took to the track at the 2009 Hungarian Grand Prix, he became the youngest-ever driver in the history of the Formula One world championship. Buemi is currently 14th in the drivers’ standings with a tally of seven points, while Alguersuari is 16th with three points. 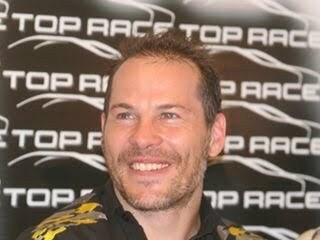 Jacques Villeneuve is reportedly bidding to return to Formula One next year with his own team. 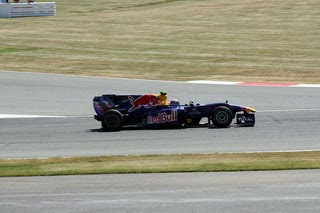 Red Bull clearly had the fastest car on the grid Mark Webber did win the race but Red Bull lost a sure one two finish. The race started good but as the cars lapped the race became a bit booring. Red Bull’s Sebastian Vettel was unlucky with his puncture but without it he would finish second behind his teammate, if Red Bull can get it right in the remaining races they should be untouchable. McLaren got the most out of their cars Hamilton made a good start and passed Alonso, and then was demoted to second with Vettel’s puncture, Button started well as he moved to eight behind Micheal Shumacher, and starting with the harder compound he made a good progress and was fourth before the safety car. Hamilton tried to keep up with Webber at the start of the race and the restart but the Red Bull were simply too fast. Ferrari lost out badly this weekend but again they had a good car and a race pace that would be very close to the Red Bulls, But with Alonso’s bad start due to a clutch problem and later in the race a drive through penalty put him at the back of the pack. Massa got a good start but while trying to bass his teammate he made contact with him and then got a puncture, he passed the new teams and then got stuck behind Sebastian Buemi which he passed at the restart, Sebastian Vettel passed him later in the race and that stoped his progress. Mercedes scored a great podium with Nico Rosberg he drove a good race but the Mercedes need to work harder as Renault were faster with Robert Kubica but could not overtook him due to his problems. Shumacher’s race was very normal nothing big he made it to seventh at the start but lost a place in the pit stops and was passed with Vettel in the end of he race. Williams are making a great performance Barrichello fifth and Hulkenberg tenth their Blown Diffuser is working good for them, as well as Sauber with Pedro De La Rosa’s best Qualifying of the yeat with eight, But he couldn’t converted into a points due to a hit he got from Sutil in the race. Adrian Sutil scored points again for Force India with a great drive he kept Sebastian Vettel for almost five laps before he passed when both drivers made contact but no damage happened. Ferrari scored their worst finish since 1978, and they need to stay out of troubles in the next few races. Webber wins Silverstone epic race from McLaren’s Lewis Hamilton and Mercedes’s Nico Rosberg, this is Webber’s third win of the season and Red Bull’s fifth win. Pole sitter Sebastian Vettel made a bad start which put Mark Webber in first place behind them Fernando Alonso got a bad start as well to slip back to 5th, Vettel got a puncture when run off the circuit while trying to get back the lead. Massa got a puncture as well when he made contact with teammate Fernando Alonso both Vettel and Massa changed tyres and were last by the nd of the first lap. Lewis Hamilton tried to keep up with the Red Bull but the Red Bull was untouchable today, behind Alonso was trying to made up his lost positions with an attempts to overtake Renault’s Robert Kubica but he cut the chicane and got a drive through penalty. The safety car was deployed when one of the Force India drivers was trying to pass Pedro De La Rosa and made contact with the rear wing of the Sauber and broke some parts of it. Alonso did his drive through penalty and came in last place, meanwhile Vettel closed on Massa and passed him and then passed Petrov, Buime,Liuzzi,Shumacher and Sutil to finish in seventh place after all. Button starting from 14th on the grid finished 4th with his long first stint on the hard tyres and could have finished forth without his fuel problems. Robert Kubica retired with differential problem from fifth place. 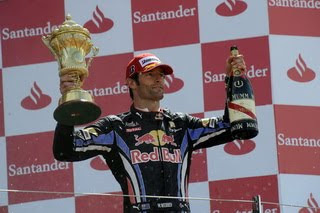 With Mark Webber’s win Lewis Hamilton now leading the driver’s standings with 145 point ahead of teammate Button 133. In the constructors standings McLaren leads with 278 from Red Bulls 249. Red Bull should only fear from technical problems or them selves from losing the British grand prix, As their closest rival Ferrari’s Fernando Alonso is seven tenth slower than them, but maybe Ferrari’s race pace could give Red Bull something to think of. In the start Mark Webber will be starting from the dirty side of the track so maybe Alonso can make a jump on him, also Rosberg could make McLaren’s problem worse if he overtake Hamilton at the start. Felipe Massa should make a great start if he wants to finish on a higher position as he got the pace to challenge the cars in front, McLaren’s Jenson Button will have a hard race tomorrow starting from the seventh row he need a great luck to finish higher in the points. As for tyres all the top ten as usual will be starting with the softer tyre, and with tyre degradation high this may benefit the Ferrari’s as they look after their tyres very good, with no chance of rain we could see a normal race like we’ve had in Turkey with normal strategies. The track’s new section is very bumpy so expect mistakes from the drivers. Will Red Bull finish one two tomorrow? Have your say in the comments. Christian Horner on Saturday fended off claims that Sebastian Vettel is being crudely favoured over his Red Bull teammate Mark Webber. The RB6 is the runaway dominant car at Silverstone, but in morning practice one of two examples of a new front wing specification broke on Vettel's car. The other new wing was fitted to Webber's car, so - based on "championship position and the performance in FP3" - it was taken away from the Australian and given to Vettel, team boss Horner explained whilst surrounded by reporters after qualifying. 23-year-old Vettel, 12 points ahead of Webber in the championship but trailing the lead of the McLaren drivers, went on to secure pole position with the wing. Within memory of the team's handling of the teammates' Istanbul crash, Webber was visibly furious on Saturday afternoon, surmising that "the team is happy with the result". Horner said the 33-year-old should not be angry. "He knows there was no malice in the decision, no manipulation. "Unfortunately we found ourselves in a situation with only one front wing of a certain specification. "There was not really a laptime difference between the (new and old) specifications, but there was a slight difference in characteristics, with one driver expressing a slight preference for those characteristics," said the Briton. Horner confirmed that Vettel preferred the new wing, but admitted that the decision might make it appear that the young German is being favoured. "You don't always want to, but sometimes you have to take a difficult decision, and today that decision went with Sebastian," he said. As expected Red Bull dominated qualifying in Silverstone with the closest man to them was Ferrari’s Fernando Alonso with seven tenth slower then the Red Bull Drivers. Sebastian Vettel was the fastest man in Q1 but less than a tenth between him and teammate Webber, Ferrari was close with Fernando Alonso And Felipe Massa . The battle in the back was interesting between Virgin’s Glock and Lotus Drivers, Heikki Kovalainen was the fastest after all, Jaime Alguersuari took the 18th place. It all seemed that the McLaren’s were off the pace with their lap times far from Red Bull’s times, in Q2 things got worse for them as Jenson Button could not make it into Q3 and will start the race tomorrow from 14th on the grid, both Force India did not make it into Q3 with Adrian Sutil losing to Robert Kubica with less than a tenth, the times in Q2 were very close apart from the Red Bulls and Fernando Alonso. In Q3 it looked sure that Red Bull will take the pole position but with who, Mark Webber did a lap of 1:29.758 and it was the first lap bellow the 1:30s but then teammate Sebastian Vettel improved first by half a tenth and then took another half tenth with another try to take pole with 1:29.615, Fernando Alonso was the closest one to the Red Bull with 1:30.4, Hamilton did a great lap with a McLaren that seemed off the pace to lap with 1:30.5 ahead of Mercedes’s Nico Rosberg, Felipe Massa was sixth as he could not improve his Q2 lap. As expected Red Bulls were fast in Silverstone but the other teams are not far behind, McLaren seemed to have hidden their true pace or maybe the ‘Blown Diffuser exhaust’ not working well for them. Red Bull were fast I the morning with Sebastian Vettel and in the afternoon Mark Webber was the fastest, the RB6 seemed very fast on different fuel loads and in the top speed they were up there as well which means their F-DUCT is working well as well. With in-season testing banned, Fridays take on a dual function - preparing the cars for qualifying and the race and the development of new solutions for the short and medium term - and today we completed both phases. In the afternoon Ferrari were fast through the session with Alonso in second place and Massa fourth, Ferrari thinks the updated F10 from Valencia and the new parts they added to this race made the car fast. And both drivers aid the handling was improved. McLaren were fast in the morning up with the Red Bull but in the afternoon their speed was gone, and we saw a lot of run off moments for Lewis Hamilton in the second session. We spent both sessions running with the new components. I definitely feel we’ve made a step forward from the last race. This circuit is a bit like Barcelona, where we were one second behind Red Bull - I don’t think we’ll be seeing that sort of gap tomorrow though, hopefully. Mercedes might be faster than Renault in this track as both Micheal Shumacher and Nico Rosberg were fast today, Mercedes might be up with Ferrari and McLaren in this race.